The Drees Ashton floor plan features 2,516sf of well-designed space. 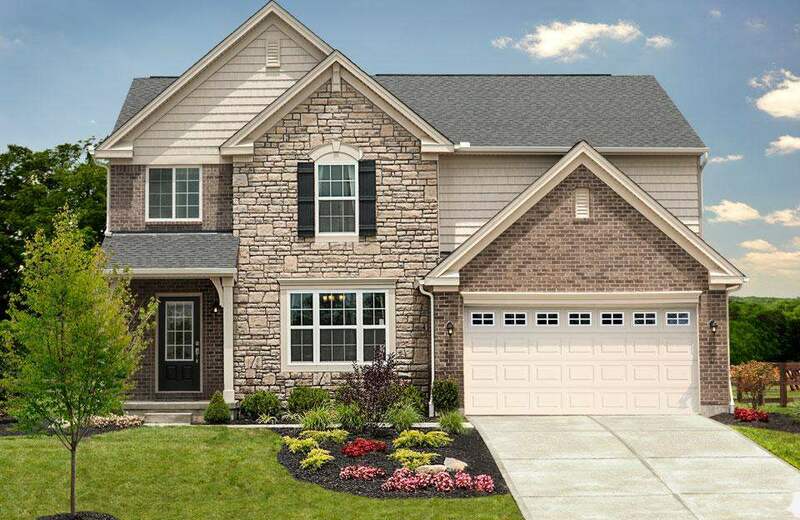 First floor offers 9' ceilings, formal dining room, family room, large kitchen with oversized island, and family foyer. Second floor has four bedrooms, including owner's suite with garden bath and two walk-in-closets, and second floor laundry. Brick and stone front exterior with front porch and 9' brick wrap on first floor.